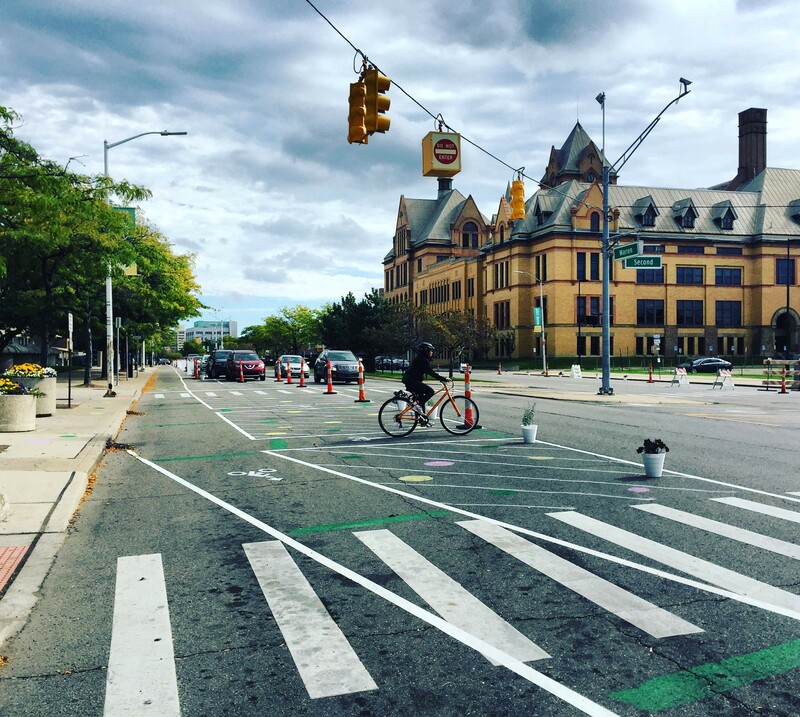 Walkable Warren was an initiative led by Wayne State University in partnership with the City of Detroit to pilot flexible streetscape designs along Warren Avenue (between Woodward and Second Avenues) for a more walkable, bikeable, transit- and retail-friendly corridor. 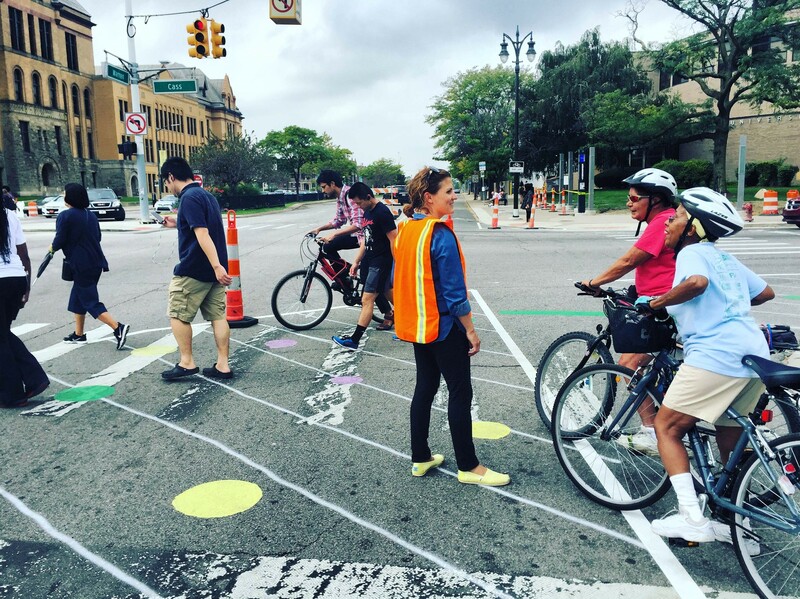 Through creative yet practical streetscape improvements such as painted bike lanes, pedestrian bump-outs, and shortened crosswalks, Wayne State was looking to re-imagine Warren Avenues’ design into something more safe, active and vibrant. 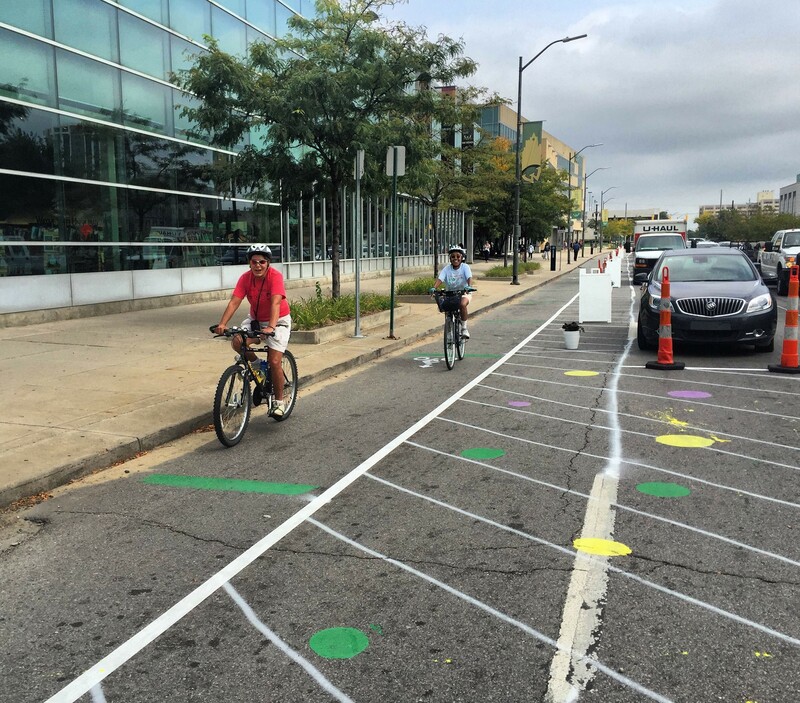 As part of the 2016 Detroit Design Festival, pop up streetscape improvements were put in place for a 3-day period. 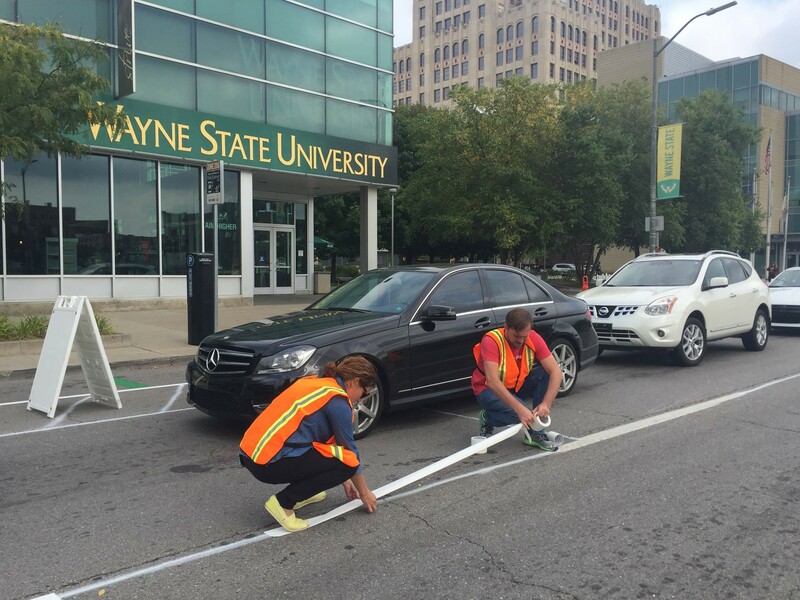 To spur additional activity, Wayne State brought food trucks, local retail and flexible seating to Warren. livingLAB assisted the Wayne State team by developing layout graphics for approval by the City and also had a great time helping with set up and talking to people trying out the “new” facilities. 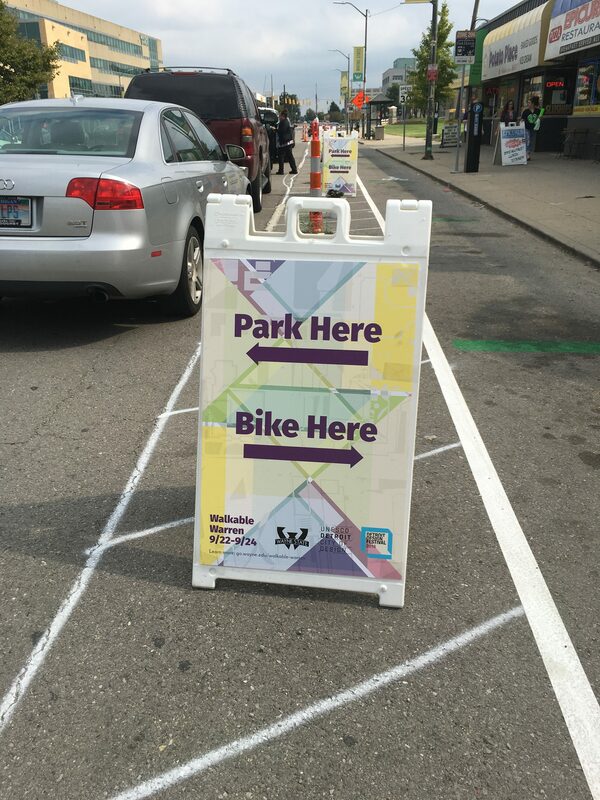 The Walkable Warren effort helped to inform the permanent redesign of Warren Avenue to include protected bike lanes.